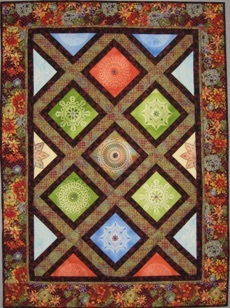 wallhangings or fiber art will be easily enhanced by your personal touch of color. Transform the ordinary to extraordinary with simple, basic tools and techniques. Learn a variety of techniques for using paintstiks to enhance your fabric creations by adding texture, depth, visual impact and your own personal style. This class is a unique opportunity to experiment and play with a rainbow of paintstiks and wide selection of materials. Painstiks will be provided for your use in class. 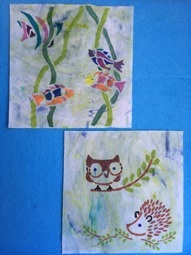 Paint and print fabric with a little help from the sun! This simple technique creates beautiful fabric to use in your quilts or special projects. All paints, materials and tools are provided for use in class. Students bring their fabric and imagination. Please note: this class requires an outdoor work space that can accommodate your group and a sunny day.